Does Dad love to spend time in the garden, tending to his favourite plants and flowers? 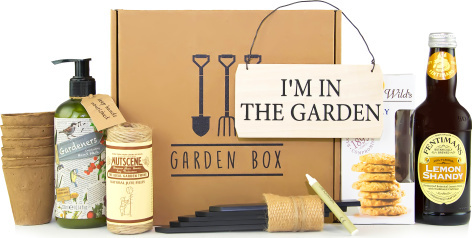 Well, then this Gardening Gift Box is the perfect Father's Day gift for him! We have included essential tools he will need in the garden as well as snacks and a beverage for him to enjoy as he admires his work We even included some lovely hand cream which, as every gardening enthusiast knows, is essential! Spoil him this Father's Day with a gift he will love!